The gigantic Himalayas have many jewels studded in its lap. One of these is Bhutan, a country that's known worldwide for its own distinctness. Bhutan tours are quite popular with travellers because they offer a magical travel experience – scenic Himalayan landscape, ancient monasteries and vibrant Buddhist culture. 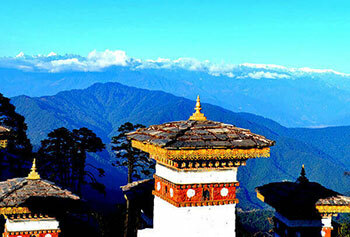 Key features of Bhutan tourism include cultural tours, adventure tours, road journeys, trekking tours etc. But there's even more for you to discover! A larger part of Bhutan still remains unexplored. As soon as you step into the country, you'll find yourself surrounded with rolling mountains, dense forests, inspiring architecture and friendly people. Famously known as the 'Land of the Thunder Dragon', Bhutan proves this adage true – 'Good things come in small packages'. Bhutan may be tiny (the size of Switzerland) compared to other travel destinations it shares its border with, but it has so much to see and so many things to do that you'll simply be amazed. It's also interesting to know that around 72% of the total land in Bhutan is covered with forests. If you're a mountain lover, Bhutan travel will delight you with picturesque Himalayan landscapes – snowy peaks, shadowy gorges, beautiful mountain pastures and primordial forests. To soak up the beauty of the Himalayan ranges, the best idea is to start on one of the many Bhutan trekking tours. Each trekking tour in the country is full of fun and adventure. Depending on your fitness level and physical strength, you can choose a trek of your choice. Popular trekking routes in Bhutan include Druk Path Trek (moderate), Chele La Trek (easy), Merak-Sakteng Trek (easy/moderate), Bumthang Trek (moderate) Chomolhari Trek (strenuous), Laya Gasa Trek (strenuous) etc. Apart from enjoying trekking, you can also indulge in fun-filled bird watching and mountain biking tours to satisfy your thirst for adventure in Bhutan. The customs and traditions are so unique and vibrant that you can't afford to return without undertaking a Bhutan cultural tour. 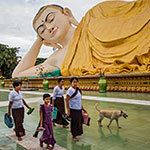 The influence of Buddhist religion is easily noticeable in the everyday life of the Bhutanese. When travelling to Bhutan, you should try to participate in at least a few of the country's national and regional festivals. Bhutan's culture is reflected in the way people dress there, different forms of their art and craft, national sports and festivals. If you have made up your mind to explore the different aspects of Bhutan, you don't need to search for a tour operator here and there. Max Holidays, a much preferred travel agent and tour operator for Bhutan, offers you a wide range of tour packages (both for groups and individuals) including Bhutan cultural tours, Bhutan trekking tours and other Bhutan adventure tours. We really adore the cultural, architectural and Himalayan beauty of Bhutan and along with it we truly enjoy helping you plan a trip that shows you everything which makes Bhutan an unparalleled travel destination. A fairy easy trekking and amazingly beautiful trekking path of Bhutan, the Druk trek path takes you through..
"Bhutan is really bliss to see with magnificent view. 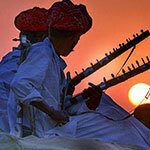 The culture over there is very interesting and above all people are very courteous. The entire trip was well organised with friendly tour guide to take care. I was satisfied with the services provided by Max Holidays. 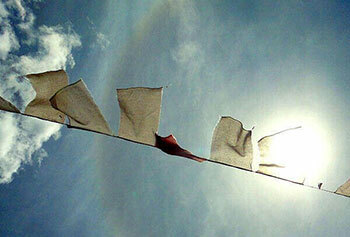 I found Bhutan truly a happy country." "Last year in the month of April I went to Bhutan with my two friends. We booked our trip with Max Holidays and found the service to be excellent. The tour guide, hotel, driver, and food everything was remarkable. The tour was as per our budget with decent service. I would highly recommend Max to everyone." 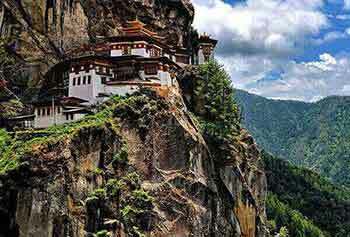 "I and my wife had the most wonderful trip to the happy country Bhutan with Max Holidays. Our tour guide and driver were excellent in every way. The staff of Max went beyond our expectations to provide us the best experience of our life. The entire tour went very smooth and a memorable one. Great Work Max!"